Go Global: Go Pot Luck! 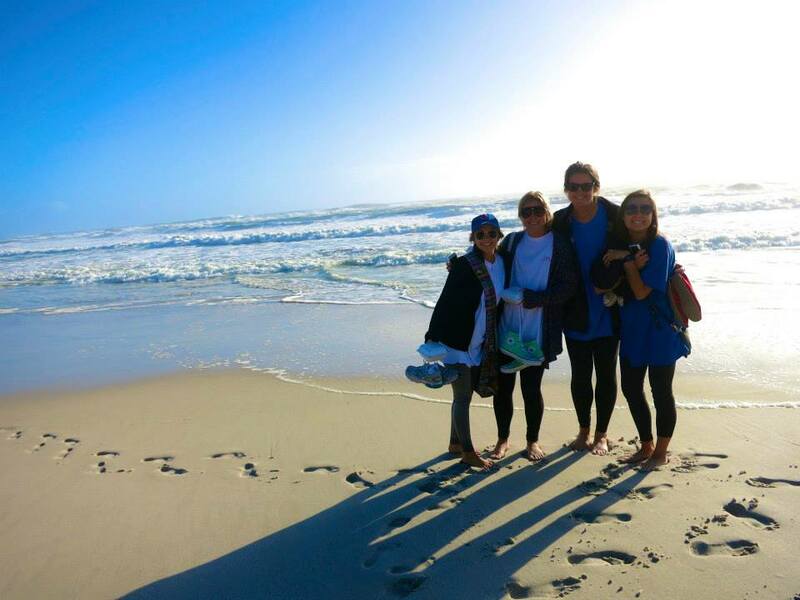 “When I think back to my experience in Cape Town this past summer, of course my mouth waters thinking about The Old Biscuit Mill eggs benedict, I get goose bumps imagining myself taking that leap of faith off the tallest bungee bridge in the world, but most importantly I reminisce on the memories I cherished with my potluck roommates who I now call my best friends. It all began when Joanna Harbin, our awesome program director reiterated over and over again how she spends a ton of time putting together the roommate assignments and promised we would not regret living with random people. I’ll admit, I was extremely nervous about the idea….I mean I was already traveling almost 10,000 miles from home. I thought, “what more does the Global LEAD Program want from me? !”..I decided to do a little brainstorming and came up with a compromise. I put my trust in Joanna, but told her my only request was that she paired me with at least one person I knew from Texas. This was by far one of the best decisions I made prior to departure. Move in day at Sunstays Apartments seems like just yesterday. Avery Bell (one of the few people I knew coming to Cape Town), and I were paired with two Ole Miss girls, Anna Larimore and Amber Palmer. Although they were complete strangers to us, room 123 immediately felt like home. By day two I learned stuff about them that I didn’t know about my friends who I had known for years. We knew it was fate when we discovered that we had these bizarre similarities that no one else had, like Anna and I sharing the same favorite childhood memories in this tiny beach town in North Carolina. What are the odds of this happening? It is kind of funny looking back. At the end of week one, I vividly remember Amber laughing saying, “y’all, do you think we need to branch out?” The four of us were inseparable friends after just seven days. The wonderful thing about the Go Global staff is that they are aware that these tight bonds are going to form between you and your roommates, yet they do everything in their power to make sure you continue meeting new people. I remember Anna and Amber being so upset when they were put in different groups during adventure week, but it benefited them in the end when they were able to introduce each other to all of the cool people they had gotten close with during the week. While room 123 started out an apartment for four, it gradually turned into a second home for many. The late night life stories, pillow talks with Avery, and constant noise complaints with room 124 (sorry Jo!) are some of my favorite Sunstays memories that I will never forget. AMBER, ANNA, JEN, AND AVERY … THE FOUR ROOMMATES OF 123!